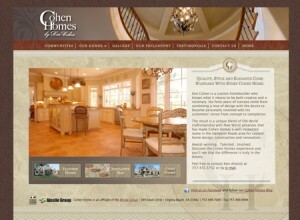 We designed and built this new website for one of our clients, Ken Cohen of Cohen Homes. Launched in early October, the site features the beautiful architecture style and details that are custom with all Cohen Homes. It was a pleasure working with Ken and his team to help us roll this one out in no time flat! Visit website.